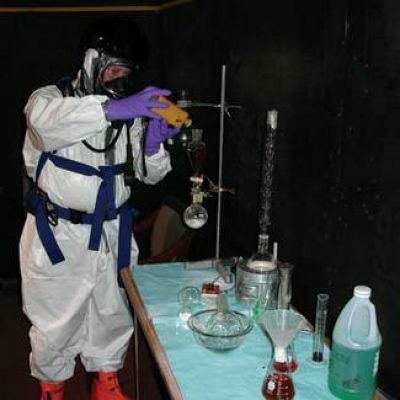 At the conclusion of this class, first responders will be able to recognize the potential presence of nuclear, biological, or chemical (NMB) warfare agents and implement actions to protect themselves and the public. Cite and describe the general types of nuclear, chemical and biological (NBC) weapons and agents. State the risks each present to first responders. Describe the potential use of such agents by terrorists or others. State the indicators that would help a first responder recognize when an incident may involve NBC weapons or agents. Describe basic First Responder actions upon discovery of an incident that potentially involves NBC weapons or agents. Sate basic actions to follow for each general type of NBC agent. Identify sources of assistance and/or information for such incidents. Explain the purpose, and, and benefits of unified command in an incident involving NBC weapons or agents. Demonstrate basic hazard assessment techniques for each general type of NBC agent and demonstrate the use of North American Emergency Response Guidebook in an incident involving NBC agents. At the conclusion of the class, each participant will take a written examination and complete a safety training course evaluation.